It’s not uncommon for professional services and investment firms to be approached by businesses seeking financing. In our conversations with fellow professionals – at investment banks; law firms; and venture and equity firms – we frequently hear that they have or know of available financing, but many of their clients are woefully unprepared when it comes to presenting their financing requests. Owners of many small and mid-sized companies in Los Angeles and Southern California don’t realize that obtaining business financing involves more than just approaching a lender or investor with a good idea for a new product or service, or explaining how they can take their company to the next stage of growth if they can just get a cash infusion. It requires a comprehensive financing presentation, complete with a current business plan, historic and projected financials, and a demonstration of back-office financial and accounting processes and capabilities. Many small businesses do not have the financial or management expertise required to prepare this kind of presentation. The good news is that an outsourced CFO services provider can help these businesses prepare a thorough, professional presentation that will greatly increase their chances of obtaining business financing. The most important component of a financing presentation is usually the business’ financial statements: its balance sheet, income statement and cash flow statement. Financial statements should be prepared in accordance with generally accepted accounting principles (GAAP). Business and personal tax returns, accounts receivable agings, current accounting and bookkeeping records, state and federal tax payments, and sales and cash flow projections (along with the assumptions they are based on) are also usually important components of a financing presentation. Next, lenders and investors usually want to see that the business has the proper financial and accounting systems and internal controls in place to allow for timely generation of accurate financial information. An outsourced CFO services provider can help in the areas of executive management reporting; accounting system design; internal controls; cash flow assumptions; budgeting; debt management; and overall financial, tax and risk management. § Completing specific financial projects (e.g., a financial restatement or revenue recognition) that require integration assistance. § Completing a specific financial project requiring a focused, project-based engagement that the current staff doesn’t have the time or resources for. § Offering an outsider’s perspective for improvement on a specific business process that is not working as well as it should. § Upgrading or improving existing processes and/or systems that the company has outgrown. § Capturing key business metrics and key performance indicators (KPIs) from systems and software to provide actionable forward-planning data to improve management of a growing enterprise. § Preparing for an audit, including the preparation of financial statements according to GAAP. § Implementing a new accounting rule for which existing staff does not have the time or expertise required. § Professionalizing and updating the company’s planning, accounting and administrative systems. § Helping ensure that existing policies and procedures currently in place are in compliance with all applicable state and federal laws. § Creating proper internal controls to deter fraud and embezzlement. § Integrating a recently completed merger or acquisition in order to meet the 70-day public filing deadline. It can be frustrating for lenders and investors to meet with Los Angeles and Southern California business executives who need financing but are unprepared due to their inability to create a comprehensive financing package. In these situations, an outsourced CFO services firm can provide valuable assistance in helping business owners prepare a thorough, professional presentation that will greatly increase their chances of obtaining financing. 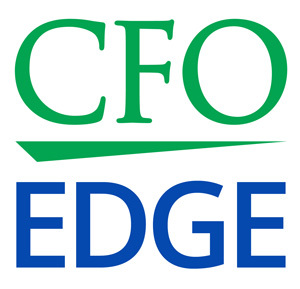 Outsourced CFO services providers can also provide a wide range of other business financial and accounting services on a project basis — from completing specific financial projects to identifying and capturing KPIs to help improve financial management.